Levels 2 & Up. All Regions DVD. 75 minutes. 21 exercises. Earn up to 45 FJ Rewards. Not eligible for FJ Rewards. Streaming videos are not available on Amazon. Teach it or take it, this class is a beauty. 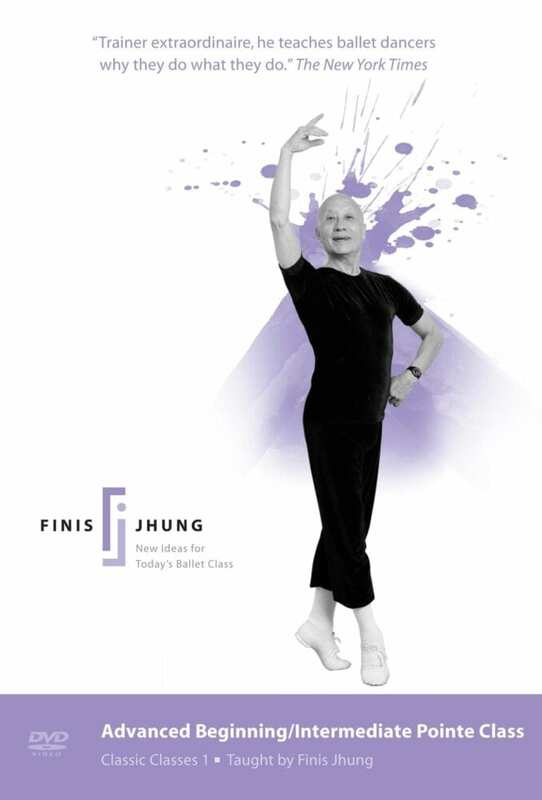 Finis works with the elegant Johanna Snyder of The American Ballet Theatre in a simply structured class on pointe that begins with Finis presenting and showing each barre exercise and then standing by and coaching Johanna as she beautifully demonstrates. In center floor, Finis shows and explains each exercise, Johanna demonstrates, Finis analyzes and coaches, Johanna repeats, and Finis usually gives more pointers. As she puts on her pointe shoes, Johanna shares some professional tips. As you watch and dance along with Johanna, you will become aware of the finer details that are the hallmarks of professionalism: musicality, correct port de bras, sharp pointes, refined delicacy, and perfect classical line. The CD music is by Scott Killian and Bill Brown. Play the DVD in 3 modes: Full Class, Individual Exercises or Workout Mode where you can run the exercises without instruction. Once you’ve learned the exercise and heard the instructions, you may want to go straight to the demonstration with music so you can have a work-out without interruption. You can find this feature on these videos. Streaming videos do not offer multiple playback modes. Each DVD chapter/exercise is presented as an individual video. To advance between chapters, the user is required to manually click the exercise video they wish to play. Unfortunately, auto-advance is not available at this time. — Quynbi, aerialist and dancer, Seattle, WA. FJ Streaming Singles We have released several brief videos (for example, our Foot Strength and Dance at Home series) which are only available to stream online. You will not receive a DVD, but may watch instantly upon completing your purchase. DVD is a hard-copy DVD that you will receive by mail. STREAMING VIDEO is watched online. After checking out, your streaming purchases will be added to your account and may be found here. DVD + Streaming means that you’ll receive both a DVD by mail and will also be able to watch online. Please visit our Frequently Asked Questions page for more information. Use Your Arms and Dance!